New iPhone App from Tate Modern: Can You Save Modern Art? The Tate Modern have released a new application for the iPhone. The game, titled Race Against Time, is an innovative mix of platform style gameplay and the history of modern art. The main character in the game is a chameleon, who must travel through the history of modern art and defeat the evil Dr Greyscale, who is hell bent on removing all of the colour from the world. As you make your way from 1890, back to the present day, the backgrounds, scenery, and enemies change to reflect various decades and art movements. A bespoke soundtrack was also created for the game to really give you a feel for each of the periods represented. Early reviews of the app seem to say that it's fun, and full of little quirks that any modern art fans will love. 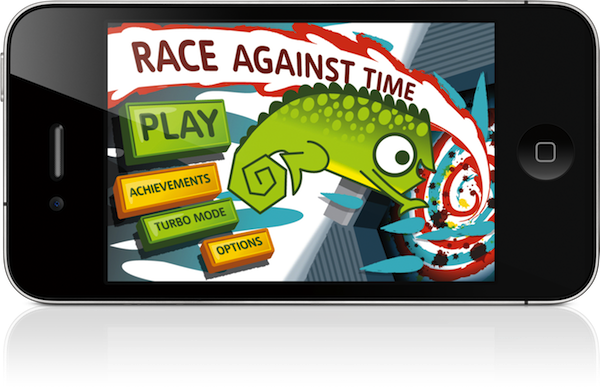 Anything that makes art fun and playful, and can get new audiences involved is great in our opinion, so if you want to give the app a go, just search 'race against time' in the app store.